Widgets are useful for getting quick information without opening an app. This design skips the icons entirely and gives you the info you need in a dark, old-timey home screen. 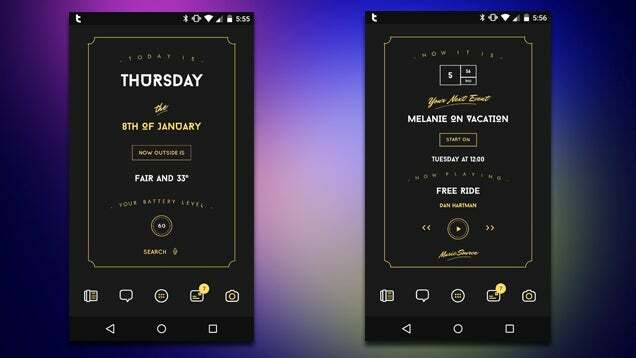 This design is one of the themes featured in Themer. To get it on your phone, open Themer on your device, long-press the home screen, select Themes, and search for "Noir Dark".